CPS is once again entertaining the idea of expanded outsourcing of nurses. This is not new, unfortunately – CPS has been working with nurse staffing agencies since the early 1990’s. The number of Certified School Nurses (CSN), Licensed Practical Nurses (LPN) and Health Service Nurses (HSN) in the CTU has been declining while the number of temporary nurses from staffing agencies is increasing. At one point, CPS had 275 school nurses and now there are only 160. CPS blames this on a shortage of nurses, but that doesn’t make any sense because there are nurses in the layoff pool, waiting to get re-assigned, CPS does not advertise for nursing positions anywhere where school nurses look for jobs, and the staffing agencies have nurses who could probably become unionized nurses at CPS. 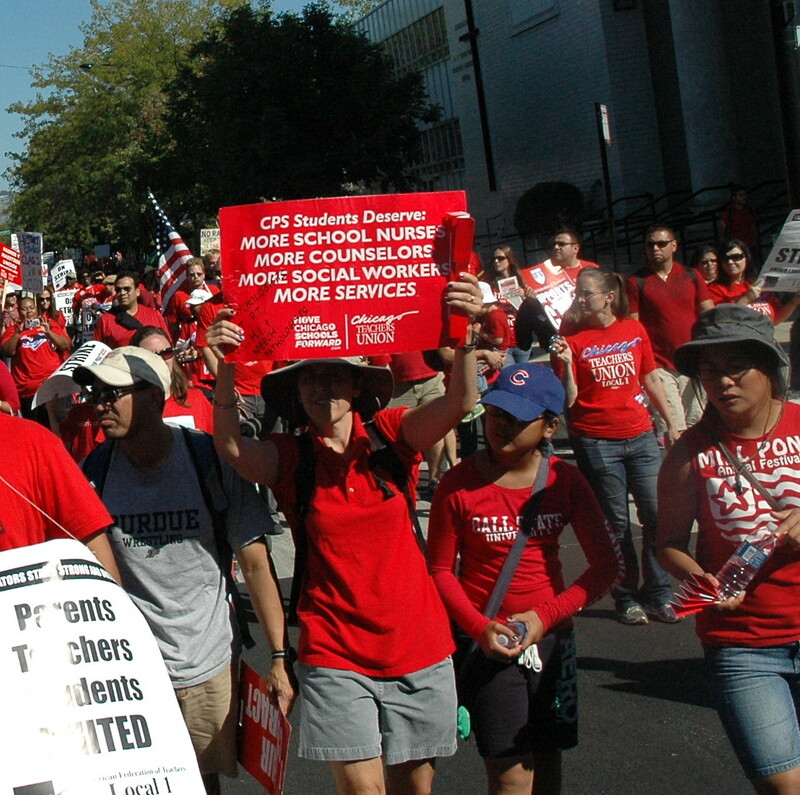 Our members fear that CPS is working to eliminate their union positions altogether. CPS’s current Request for Proposals (RFP) for nurse staffing agencies calls for an expansion of the services to include CSNs for the first time. It is also soliciting bids for a call center, like the one with Aramark, for staffing requests. With the number of CPS students who have allergies, diabetes and asthma, it seems like this idea could prove deadly. CTU nurses have already reported that a lot of the agency nurses don’t show up for work and principals frantically call our members while they’re working at another school, begging them to run over to their school. Most CPS nurses work at 4 – 5 schools each week, including charter schools. The few nurses in the district who work full-time at one school do so because of the special education needs of the children there. CTU continues to advocate for more nurses in our schools. In the current contract campaign, CTU is calling for at least one full-time certified school nurse, employed by CPS (as opposed to a private staffing agency), in every school. LPN’s and HSN’s who miss their duty free lunches must be compensated financially or with the time at the end of the day. Those who regularly miss lunch due to working at multiple schools must be allowed to leave early to compensate for the loss of their lunch. To end the practice of having other school staff administer medication in the absence of a certified nurse, CTU is demanding that the responsibility remains only with certified nurses, not other school staff. CTU contract campaign, healthcare, nurses, outsourcing, privatization. Bookmark.